BMW’s entry level motorcycles have hit a small roadblock in the US market as the new G 310 R and G 310 GS have been recalled over issues concerning side stand and the frame. BMW Motorrad has officially announced that over time, repeated use and loading of the side stand could cause damage to the side stand and the motorcycle’s frame. A total of 2,376 units of 2017-2018 G 310 R and 2018 G 310 GS are affected by the problem. The recall will commence from August 7, 2018. BMW will notify owners, and dealers will inspect the frame, installing a reinforcement plate and new side stand, or the frame will be replaced if necessary, free of charge. Will it affect India bound models? 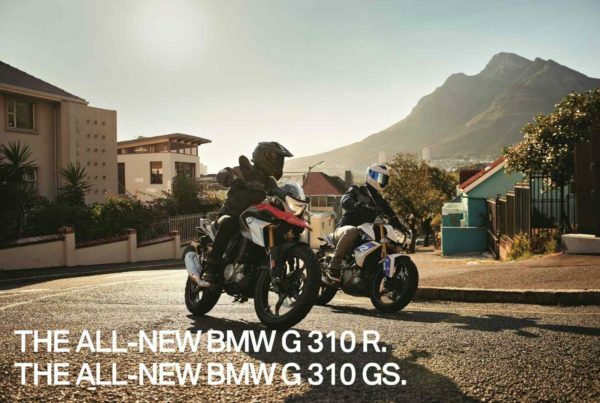 The deliveries of the new BMW G 310 R and G 310 GS are yet to begin. Thus, BMW Motorrad and TVS Motor Company will most likely address the issue before sending the motorcycles to the customers. We’re yet to hear any official statement from BMW Motorrad India and TVS Motor Company. We’ll keep you posted as and when new updates surrounding the matter are available. The new G 310 duo, as reported earlier, were launched in the Indian market on July 18, 2018. The G 310 R and the G 310 GS have been priced at INR 2.99 lakh and 3.49 lakh (ex-showroom Delhi). Both motorcycles use a 313cc, liquid-cooled single-cylinder engine with power and torque outputs of 34 hp at 9,500 rpm and 28Nm at 7500 rpm respectively. The engine is mated to a six-speed transmission.